From the wiki: “St. Luke’s International Hospital is a general hospital located in the Tsukiji district of Tokyo, Japan. It was founded in 1902 by Rudolph Bolling Teusler, a missionary doctor sent by the American Episcopal Church. “In 1927, Japan’s first Public Health Nursing Department was established at St. Luke’s and, in 1933, an American-style physician residency program was also introduced. The original hospital campus was destroyed in the 1923 Great Kanto Earthquake. 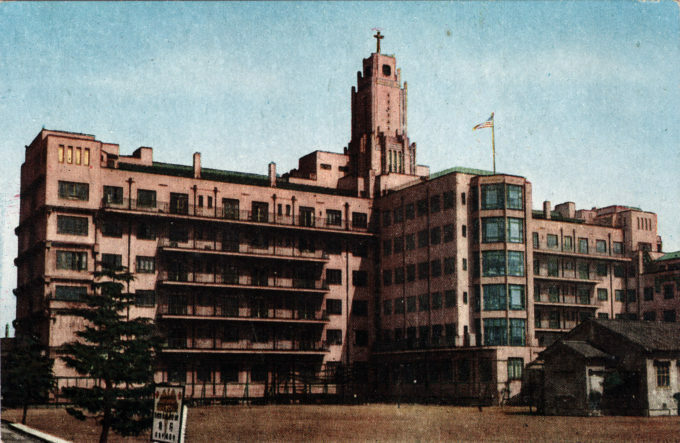 A new 6-story hospital, replacing a temporary post-earthquake facility, was completed in 1933 that remains part of the present hospital campus. 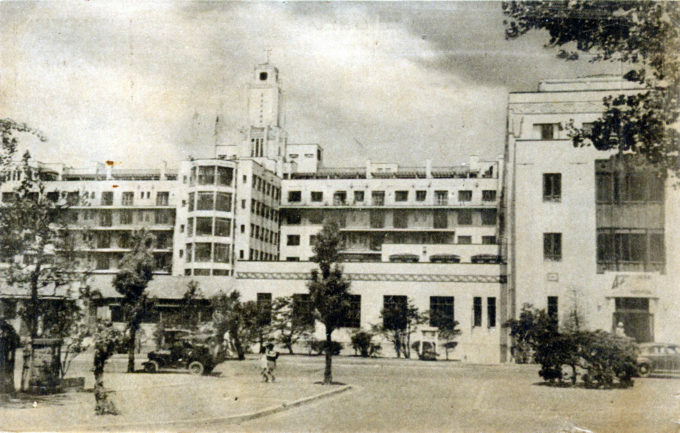 St. Luke’s International Hospital, Tsukiji, during the Occupation era (1945-1952), c. 1950.